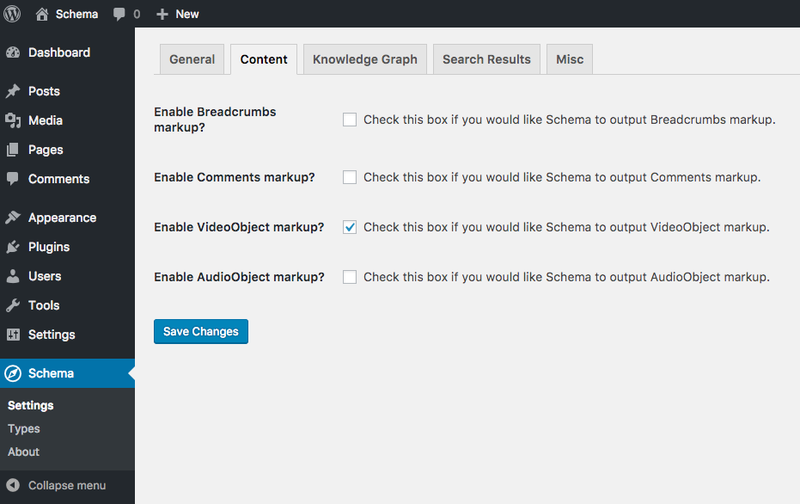 Schema plugin play nicely with Embeds, the easy embedding feature powered by oEmbed. The plugin integrates with the most popular video service providers that are supported by Embeds. This means, for example; when use Embeds to include a Youtube video into your post in the Editor, Schema will try to discover the details out of the embedded video. In some cases, the video details are missing some required details, or it’s not provided in Embed, Schema then allow you to add those missing details. 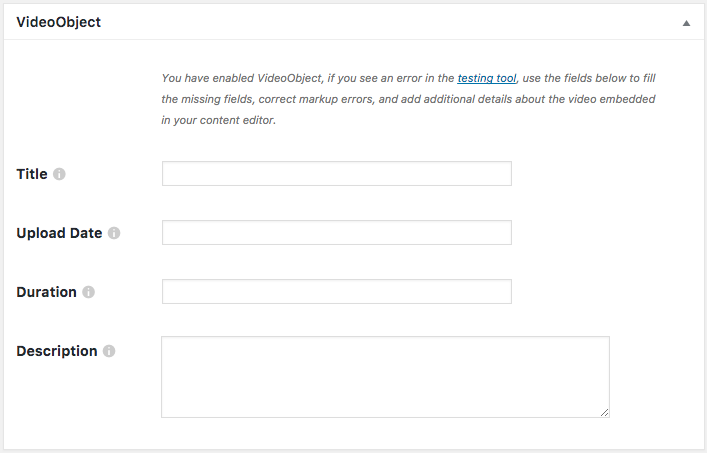 Once you enable VideoObject feature, you will see a new post meta box in Schema Types screen. This is where you can select to markup only a single video, or more than one video on same page. These settings shall take place across the enabled post type. Note: The plugin doesn’t fully support the Multiple Videos! Now, if you select the Single Video option, Schema plugin will enable an additional post meta box on the post Edit screen as shown in the next screenshot. The VideoObject post meta box will allow you to add video details, example video Title, Upload Date, Duration, and Description.